Karman iTravel portable folding mobility 4 wheel scooter is the perfect combination of portability and easy mobility. Weighs only 60 lbs. Folds down in a simple one-step operation. This compact, light-weight scooter boasts folding dimensions of 32″ X 19″ X 17″. 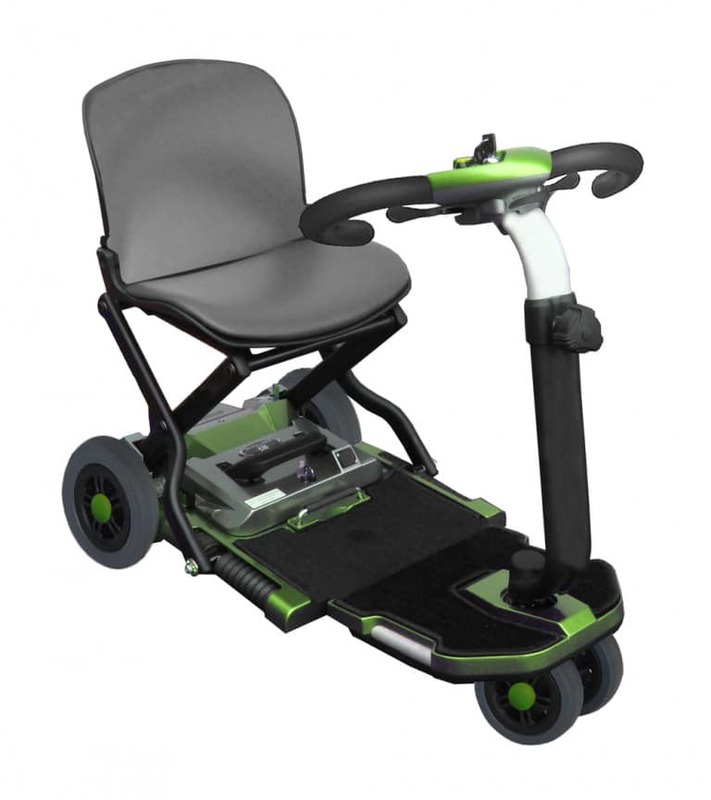 The removable Lithium Ion battery gives you a travel range of up to 25 miles. Plenty of leg room, equal to that of a larger three wheel scooter with the stability of a four wheel. iTravel 4 Wheel Folding Scooter offers a great deal of flexibility and simple operation all for an excellent price. The 24kWh lithium-ion battery stores its energy to power the 80 kW AC motor in 48 lithium-ion modules. Each module contains four lithium-ion battery cells and provides enough power to the motor. The battery pack is expected to retain 70% to 80% of its capacity after 10 years but its actual lifespan depends on how often DC fast charging (480 Volts DC) is used and also on driving patterns and environmental factors. Total Weight with Batteries: 60 lbs. Due to our commitment to continuous improvements, Karman Healthcare reserves the right to change specifications and design on the iTravel ™ without notice. 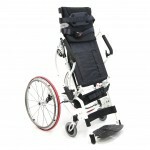 Further, not all features and options offered are compatible with all configurations of the wheelchair.